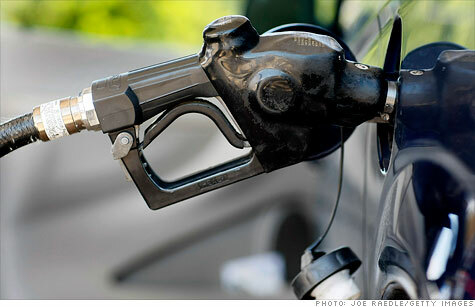 Lawmakers may scrap the 18.4-cent-a-gallon federal levy when it expires next month. Can our roads really afford that? NEW YORK (CNNMoney) -- You may want to consider investing in some good shock absorbers for your car this fall. Fresh from blocking any new tax increases during the debt ceiling debacle, some lawmakers in Congress may now oppose renewing the federal tax on gasoline and diesel fuel, which is used to maintain our nation's highways. Spendthrift motorists shouldn't get too excited by the prospect of eliminating the federal gas tax, which costs the average driver around $100 a year. The states would presumably make up for the loss of federal funds by increasing their own gas tax or other driving-related fees. But for those who support ending the federal levy, the thinking is that the states could do a better job of building and maintaining the nation's infrastructure. First there's the bureaucracy. Why collect the money at the state level, send it to Washington, only to have it return to the states? Then there's the question of federal oversight. Federal money often requires the use of union labor or comes with other stipulations. "The Davis-Bacon law increases the cost of new roads, bridges etc. by 25% to 33%," Grover Norquist, head of the advocacy group Americans for Tax Reform, said referring to the law that stipulates how much workers on federal projects need to be paid. "Much money is siphoned off to pay union workers in subway systems or to build bike paths....not roads." Norquist didn't say if he'll use his considerable influence among Republicans to attempt to kill the gas tax next month, but did say "we should move now, or soon, to allow all states to raise and keep their own gas taxes to build and fix roads." "We are one nation, and we need a national highway system," he said. Both the Chamber of Commerce and General Motors (GM, Fortune 500) have recently come out in favor of a higher gas tax -- the latter arguing for a dollar-a-gallon increase. They note that the 18.4 cent-a-gallon tax hasn't been raised since 1993, and now has the inflation-adjusted buying power of just 11 cents. Plus, fuel efficiency has been rising steadily each year along with miles driven, meaning Americans are putting more miles on roads while paying less to maintain them.